As torrential rain left Mumbai citizens scurrying for cover, there was a fear of a repeat of the 29 August ordeal, when the city grounded to a halt. However, even though the heavy downpour towards the latter half of September came as a surprise, civic services were not as badly hit as the last time. 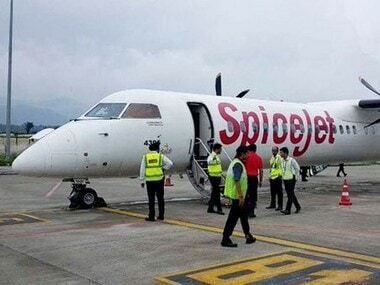 A SpiceJet aircraft that overshot the runway and got stuck in the mud at the airport was the most dramatic indication of the extent of the rainfall in the last couple of days. The aircraft has now been towed away after nearly 24 hours. However, visuals of trains getting stuck on waterlogged tracks were missing this time, as suburban trains were only delayed by 15 to 20 minutes this time. Nevertheless, with memories of last month's disaster-like situation still fresh, authorities and the citizens alike were not willing to take any chances. Schools and colleges in the Mumbai Metropolitan Region were instructed to remain closed on Wednesday in view of heavy rains. On Tuesday, office-goers left work early to avoid getting stuck in the heavy rains, reported Hindustan Times. Even as Mumbaikars scrambled to get back home, rumour mills worked overtime to heighten the sense of panic. A message doing the rounds on WhatsApp on Tuesday said that a cyclone was likely to hit Mumbai on the next day and that the city has been put on alert. However, the Brihanmumbai Municipal Corporation was quick to dispel the rumours and asked citizens not to believe or spread them. The civic adopted a stern approach towards such rumour mongering, with the civic chief Ajoy Mehta asking the Joint Commissioner of Police, Law and Order, to take action against such people and book them under Section 54 of the Disaster Management Act, 2005, as reported by The Times of India. There were also rumours of the Bandra-Worli sea link being closed for traffic due to the 'cyclone warning.' However, the Mumbai Police clarified that the sea-link had not been closed. On 29 August, the sea link had been closed for a brief while. 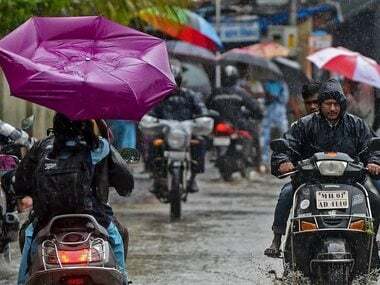 From 8.30 am on Tuesday to 5.30 am on Wednesday, the Colaba observatory recorded 210 mm rain, while the Santacruz observatory recorded 303.7 mm rain in the period, according to the Indian Meteorological Department (IMD). The rainfall in the suburbs on Tuesday was only slightly lower than what was experienced on 29 August, when Mumbai received 418 mm rain in 12 hours. The intensity of the downpour can be guaged from the fact that the amount of rainfall (303.7 mm) was only slightly less than the average for the entire month of September (312 mm), as per a report in The Times of India. Tuesday was the second wettest September day in the entire recorded history of the Indian Meteorological Department, which spans over a century. 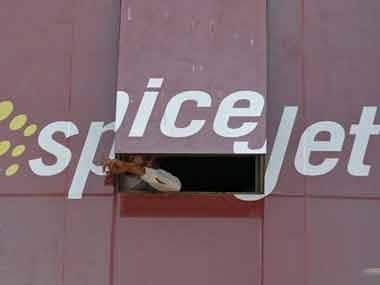 Flight operations at the Mumbai airport were hit badly as 108 flights were cancelled and another 51 diverted to nearby airports till this morning due to heavy rains and non-operation of main runway (09/27) following the skidding of the SpiceJet aircraft. A 22-member Zimbabwe Under-19 team, which was supposed to reach Mumbai on Tuesday, was stuck at the Nagpur airport and later accommodated in hotels.